Unintentional shifting has caused numerous vehicle rollaway incidents and deaths. Examples include, a child unintentionally shifting a parked car into drive or neutral, causing it to roll away and a driver unintentionally putting a running car into park and the transmission hydraulics shifting it into reverse, again causing it to roll. These tragedies can be prevented by including interlock mechanisms in vehicles. As early 1914, an interlock mechanism was designed to keep a vehicle from shifting by itself or by young children. Interlock mechanisms in use today include a brake-transmission interlock, a brake-shift interlock, and a starter-ignition interlock. A brake­ transmission interlock works by applying the brakes naturally if nobody is in the driver’s seat. 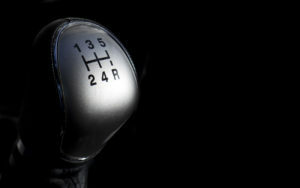 A brake-shift interlock does not permit the gearshift to move unless the brake is connected, thereby preventing most children from shifting a stationary vehicle. A starter-ignition interlock requires both a key and the brake to be connected for a manual vehicle to start, whereas automatic vehicles must have the gear in park or in neutral for the ignition to start or for the key to be removed. Ford and GM have incorporated brake shift interlock on most models since the late 1990s. Failure or absence of an interlock mechanism could be a vehicle defect. While not every vehicle incorporates an interlock structure, the expense and labor required for the installation are minimal. Interlocks are simple solutions to avoid rollaway incidents and save lives.